Recent research conducted by experts at Bristol University, England (UK), indicates that people who are struggling to manage their finances in their old age are eight times more likely to have reduced levels of mental well being than wealthier yet otherwise comparable individuals. The results of the study are based on a sample of almost 20,000 people aged 50 years and over, weighted to be representative of the whole population. A key source used in the study was 'Understanding Society', a UK household longitudinal study that is the largest social survey ever undertaken in the UK, capturing information every year about the social and economic circumstances and attitudes of people living in 40,000 UK households. The research found that people who are finding it 'very difficult to get by financially' are about eight times more likely to report reduced mental wellbeing compared to those who are more financially comfortable. The study also found that over 22% of the people representated in the study who were aged 50-54 show concerningly low levels of mental wellbeing. This age group also has the lowest percentage (26%) of people living in financial comfort. The age group displaying the highest levels of positive mental wellbeing was the group of individuals aged 70-74. Researchers explained this in terms of the 'baby boomer' effect or people enjoying the early stages of retirement and good health. Older women are more likely to show signs of reduced mental wellbeing than men (odds of 1.5). Older people who are divorced or separated have 1.2 times the odds of displaying poor levels of mental wellbeing, compared to those who are married or in a civil partnership. Those who live in a property with a mortgage have 1.2 times the odds of reporting lower levels of mental wellbeing. Older people who are unemployed have double the odds of reduced mental wellbeing, compared to those in full or part-time employment. Retired people have 1.4 times the odds of having reduced levels of mental wellbeing, while the long-term sick or disabled have almost five times the odds of poor mental wellbeing (odds of 4.7). People in rural areas have slightly lower odds of having reduced mental wellbeing than those in urban areas (odds of 0.9).
" This research supports the findings of other researchers that debt may be both a cause and consequence of mental health. _ However, the magnitude of the relationship that we uncover here is quite staggering. The research proves beyond all doubt how poor mental wellbeing and poor financial management are inextricably related, and has implications for policy in the fields of health and debt. Future work is now needed to unravel the nature of this complex relationship, to provide further material for policy makers in these areas." " This research confirms our suspicions that having low levels of mental wellbeing is very much associated with financial difficulties. We must ensure that people of all ages have access to the mental health support they need. Similarly we must ensure that everyone who needs it has access to support to help them manage their finances." 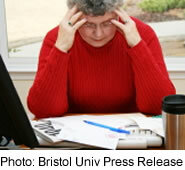 " There is now clear evidence of the links between mental ill health and financial difficulties. People with mental health problems face a high risk of poverty and problem debt while people with financial problems are at risk of poor mental health. Both health and financial services need to be mindful of these links and ensure people get the expert support they need to manage their finances and their mental health together." 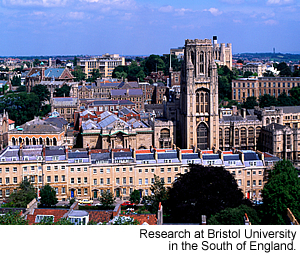 The results of the recent study have been published by the Personal Finance Research Centre (PFRC) at Bristol University in collaboration with the International Longevity Centre UK (ILC-UK), a UK 'think tank' that specializes in subjects concerning longevity, ageing and population change. Health News is included on the IvyRose website to inform visitors about current health issues and research, but not to endorse any particular view or activity. Any views expressed in the article above are not necessarily those of IvyRose Ltd.. Material in this news item was released by the source indicated below on 27 January 2014 and may have been edited (e.g. in style, length, and/or for ease of understanding by our international readers) for inclusion here. For further information, please visit their website.